Manny Pacquiao has spoken to many members of the press at the airport a short time ago and has given an update on Mayweather vs Pacquiao 2 among other things. Both Mayweather and Pacquiao announced on social media at the weekend that they will rematch with Mayweather saying he is coming back for a nine figure pay-day this year against Pacquiao. With December mentioned as the main date likely. By all accounts that fight will be against Floyd Mayweather with Mayweather’s friend and CEO of his promotional company Leonard Ellerbe also saying at the weekend that Mayweather will fight Pacquiao next. 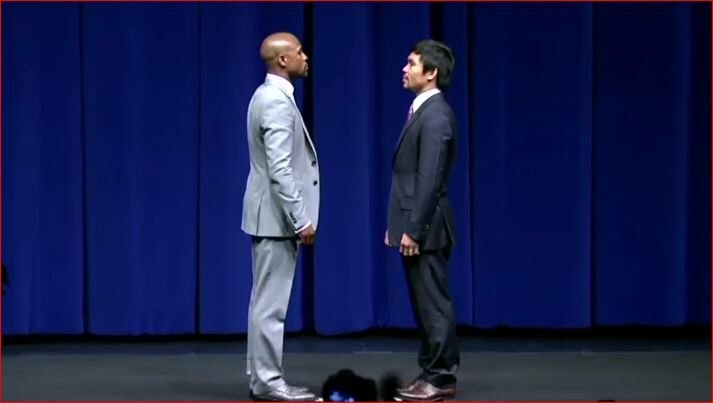 This has all come about rather quickly but both Mayweather and Pacquiao appear to be intent on moving fast in making this rematch. Unlike the first fight which literally took years to make.